As mentioned this morning in Lori LaBey’s recorded “Dementia Chats” (see Link bottom of page) not all of our symptoms are caused from dementia issues. Today i show evidence of gluten intake. SURPRISE !!! (but not a pleasant one). Celiac Disease is an autoimmune reaction to the gluten protein. For me, that means i ingested anything from one very small crumb to several slices of something that contains some form of wheat, rye, or barley. Celiac disease is like an on/off switch in the gut. Once that switch in “on” there is no differentiation for amount of gluten intake. Gluten just happened in some amount needed to push the switch. Eating more gluten will not make the reaction more severe. with the overwhelming effects of dementia, we tend to blame everything on that aspect of life. But every person is an entire person — with other aspects influencing the picture. For me, those other aspects are numerous. Celiac Disease is an important one in the mix, and the probable-cause of several others. Even as an infant, i had great complications with baby cereal and all the other high-gluten baby foods from that era. Eventually my parents decided i just had a sensitive stomach … and lived with the various effects (including alternating constipation and diarrhea, headaches, and fatigue). i think many aspects of my health are more severe than necessary, due to all body systems developing under the added stress of minor malnutrition from undiagnosed celiac. An effect of the era when that type of knowledge was not well known yet. My brother’s malnutrition was much more noticable than mine, with distended stomach and liver disease even before any alcohol intake occurred (so he was always the designated driver, LOL) . Finally received diagnosis as an adult. And now i know that one of my results from getting glutened (along with up to 2 weeks of extreme diarrhea, headaches, and fatigue) is declined cognitive abilities. and once i go gluten-free again will return to prior cognitive levels within a week or two. I very much enjoy mild gingerbread & Scotch shortbread during the holidays. Gingerbread people, gingerbread houses, etc are almost the epitome of “holiday” (as shown by the fact that i made this poster earlier this week, without knowing i had probably ALREADY been glutened). Soooo … My gluten switch has already been turned on, and the little intestinal villi are already temporarily flattened and unable to correctly bring nutrients into my system. i might as well take advantage of the timing with holidays so close, and extend gluten intake 6 weeks until the end of the holidays. My gluten reaction lasts almost 14 days, so the REACTION will probably still be in effect during Thanksgiving. 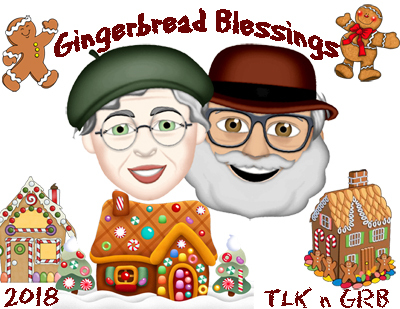 I know 6 weeks is a long time, but it is oh-so-tempting to be able to eat the special hoiliday treats, and i just MIGHT say this is the time to consider the blessings of timing … and SPLURGE !!! * Admin issues: SHARE dementia awareness thru buttons below. Feel free to leave your thoughts in the form of comments, but please filter your comments with truthful loving kindness to all concerned. If interested in receiving notice of future blog postings, subscriptions are available through a “follow” button in the upper left corner (MS Explorer) or lower right (Safari, Mozilla Firefox and Chrome). If there is an advertisement below, I have no control over what is shown. My own full legal name is Truthful Loving Kindness. My current diagnosis is still Mild Cognitive Impairment, but my neurologist said I am in a unique position for helping because I have “one foot in each door”. Text Copyright © 2018Nov13. Tags are: celiac, comorbidity, decision, dementia, PLwD. This entry was posted in Journal, Other and tagged celiac, comorbidity, decision, dementia, PLwD. Bookmark the permalink.